Today, I have a post from a new blog friend of mine. As you all know, I'm all about being as positive as you can be, especially when it comes to your financial situation. Thinking about the negatives just holds you back and wastes your time. It's much better to move forward, create a game plan to eliminate your debt, and stay as positive as you can. Read more in my post Why I Believe Being Positive Can Change Your Financial Situation And Your Life. The majority of us have some sort of debt that we’re dealing with. Whether it’s a small amount or a large amount it can still be a stressor in our lives. Maybe it’s a mortgage, a car loan, student loans, credit cards or any combination of these. It’s a stress factor that many of us are letting take a hold of our lives. I had a scholarship to a state university but turned it down to attend DeVry University. I had some small scholarships to help out, but I still accumulated student loans. After finishing my bachelor’s in Computer Information Systems, I went on to receive my MBA and then shortly after another Master’s Degree. So, I’ve accumulated quite a bit of student loans myself. I’ve also owned a house since I graduated college and now have two rental properties. It was just easier to rent them out versus trying to sell them in a buyer’s market when I had to move due to my job. This led to my credit card debt that I accumulated over a decade ago. I finally managed to pay most of these off awhile back, but it was a struggle! Being on my own for the first time and having poor money management skills led to my financial stress. Thing about it is, once you realize and acknowledge that you have a problem, the better you can find a solution and learn from your mistakes. We also have car loans just like most people. Both my husband and I have to have our own vehicles. Me, because I have to drive to work. Him, so that he can have a means of transportation in case he needs to take the kids somewhere. Side note: he has the luxury to be a stay-at-home daddy. Being that he’s a stay-at-home daddy can be challenging, though. We don’t have that extra income like some families do. But, it’s important to us that at least one parent stays home with the kids until they’re all in school. The working parent had to be me due to where I was in my career compared to him. Therefore, we have been creative with our budgeting skills. So, been there, done that. I lived the stress. I wore the stress. I learned from the stress. 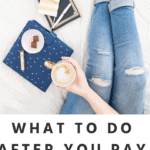 Do you feel like you just keep making payments, maybe even using your tax return to help out, but still feel as though you’re not even making a dent? You give up and start believing that debt is just a part of life. You learn to accept it. 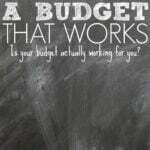 Maybe you make a budget. But you continue living paycheck to paycheck. It’s what you know. It’s stressful but it’s normal. Financial stress is like any other stress. It has the same effects on your mind and body as any other type of stress. Don’t think it’s different. Stress can make you lose sleep. Losing sleep causes sleep deprivation. Sleep deprivation can cause hallucinations, memory instability, impact your social life and so much more. Don’t lose sleep over financial stress – it’s not worth it! Stress can make you sick. Stress puts a huge damper on your immune system. Lack of immunity leads to an increase chance of getting sick. Stress can cause high blood pressure. High blood pressure causes heart problems. It can lead to heart disease, heart attacks, abnormal heart beats. Heart problems can lead to things much worse than debt. Don’t let it! Stress can cause depression. Depression also affects your health. It also messes with your hippocampus, the gateway to your memory. Stress can cause heartburn. Heartburn can be extremely uncomfortable. The only experience I have with heartburn was when I was pregnant. I hated it. I felt like I needed to eat all the time to try to make it feel better. If this is you, then it could cause you to overeat. Which leads me to, stress can cause weight gain. It can also cause weight loss depending on how you handle stress personally. Stress also cause skin problems, like acne. So not only do you experience personal effects of stress, but now you’re showing it off to the world around you. Debt doesn’t have to be a stress factor in your life. I’m not saying we should embrace debt. But, instead of focusing on the negative aspect of debt, focus on the positives. 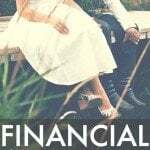 Alleviate the stress and concentrate on managing your finances to reach your end goal. In honor of Positivity, My Word of the Year, let’s analyze this situation to find the negatives to uncover the positives. Now let's take each of these negative points and find something positive. Mortgage Debt: You are able to have a roof over your head. There are others out there who cannot. Be appreciative of the fact that you have a safe haven to take comfort in. Instead of stressing over your mortgage debt, be thankful for that roof over your head and feel safe, comforted in the walls protecting you and your family. Car Loan Debt: You have transportation. A means to drive you to and from work. A vehicle to drive your children to the doctor when they are sick. There are others out there who do not have this luxury. You can choose to trade it in for a more affordable car to help with the stress or even go carless, if this debt is not worthwhile to you. Student Loan Debt: You have an education. You have proof of what you know and it may have helped you land a job, a job that is helping you pay off that debt. There are others out there without a degree. Instead of lingering on the stress of having student loans, use the experience and knowledge you paid for. Credit Card Debt: Realize that when you pay off your credit card debt, what your credit history will show. So don't stress out over it. Just keep your focus on the end goal. Author bio: Kimberly Farrally is the Co-Writer for Sweet Discord, an inspirational + lifestyle blog, and owner of Farrally Paperie, LLC, an invitation and party decor handmade shop. Learn more about converting the negatives in your life into positive opportunities. Together we can find inspiration for your lifestyle. 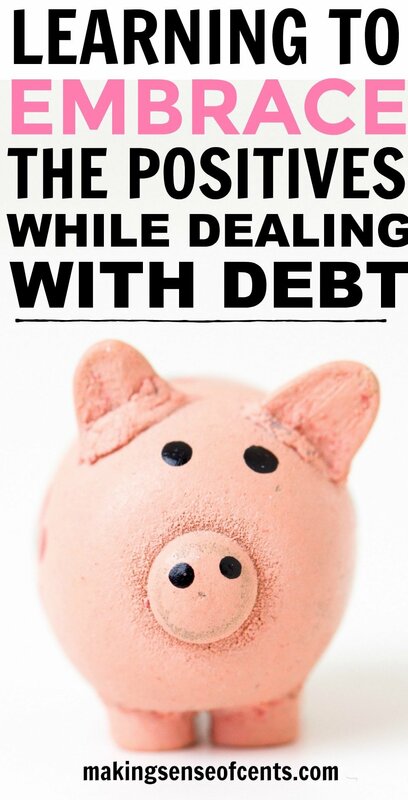 Do you find it hard to stay positive when paying off debt? Excellent post on one of my favourite topics! I am a generally very positive person and very grateful for that because I know a few people who are always unhappy about everything going on in their lives, and I do feel for them. Whether it is something they cannot control much or do not want to, I am not sure. But one thing for sure, staying positive and looking at the bright side will help you achieve so much more in your life! When I was paying down my debt I always stayed positive because I believed in my abilities to fight debt and I knew this would happen sooner or later. I am now debt free, and it took me just 18 months to achieve this dream of mine. Keeping positive and not loosing direction when things were not going as planned definitely played a huge part in destroying debt! That is great! Keeping a positive mind and focusing on the end goal can really change your life around and just all around make the world a better place. I’m glad you enjoyed the article! It’s been super hard for me to stay positive lately. I’m barely able to make ends meet now as it is with all of my debt, so I started doing freelance writing and blogging. It’s great that I’m bringing in extra money, except for one thing – I’m getting ready to sell my old house that I haven’t lived in for two years, and by the time I’ll have sold it (hopefully by the end of this month), I’ll have spend around $24,000 in repairs. That’s almost how much I brought home last year from my day job. Even though I’m working so hard to get ahead, my old house is sucking all of my energy, money, and life out of me. I’ll be glad when it’s over. I just started trying to meditate a little bit ago. It’s weird, but I’m gonna stick with it and see if it has any effect. I need something to help me cope with financial problems like this – huge obstacles that are totally out of my control. Wish me luck! Good luck! I’m positive it’ll all work out 🙂 just keep reminding yourself to stay positive and it’ll eventually happen. It took me quite a long time, too. Hopefully you’ll make some money from the house when it sells! Wow, amazing way to see my student loan and car debt. I’m grateful that I have an education and transportation for my kids. Thank you so much. I’m very thankful for the comfy home our mortgage allows us to live in. We’ve paid off everything except our mortgage, but I’m not sorry for the other debts we had. Working hard to pay off our debt taught us to have discipline with our money – a very valuable skill. That’s another great way to think of something positive from the debt! Thank you for sharing! At times, I do find it hard to stay positive. I find that giving myself/my family a small splurge helps me to combat the deprived feeling that can come with being so frugal. My only real debt is my mortgage and although it feels “big”, I do often remind myself to be grateful for it. It provides a safe place for my family to live. I know that it not possible for some and I know that I am blessed. Monica, thank you so much for sharing this! This also puts it all into perspective. So often we take these things for granted…because to so many of us they’re normal every day things. But there so many out there who aren’t as blessed with these “every day norms”. Good on your son for doing the missions trip! I’ve always wanted to do one. I was so disappointed when I learned that we were going to have to finance a car that we bought just last month, we had every intention of paying it off in one chunk but we chose to finance it instead. I hate knowing that we just added debt to our lives, we can make the payments just fine, but it’s hard to not feel down about it. What a great way of looking at debt! I struggle with not being able to save as much as I would like because I live in an expensive area. I should turn that into a positive by saying “I am grateful I live in a safe neighborhood close to a wonderful city”. There you go! That’s how this exercise works! Glad you found the post helpful! Financial stress is probably worse than any other kind of stress. We’ve all been there at one point or another, and it really is the thing that causes arguments or keeps people up the latest. I’ve been fortunate that I started earning passive income a long time ago so I haven’t had any stress about my personal finances since 2011. Just focus on building passive income and living a debt free lifestyle. You’re 100% correct when you say that you should find something positive in the negative. That’s exaclty what I do when I think about my student loans. At first it was really hard to strike a balance among this and not to be stressed. Later on, I got used to it and realized that I shouldn’t be that stressed because it would solve my problem. So, what I always do is to focus on solution so that I could be out of debt easily. I’ve just started blogging. I don’t have personal loans/car loans. Australian student loan is very different from the US students loans. But what I am striving right now is financial freedom and increasing my income. It is so so so SO hard. But I won’t stress about it and just keep focussing on the end goal. I was so desperate in getting an increase in income, I signed up to many many things in Airtasker, Freelancer. I signed up for bookkeeping, data entry, VA, taking photos, etc. But NO reply. I even signed up to be a cleaner. Still NO reply. So I just looked for something that cannot be rejected. Online surveys that pay Australians (some don’t pay us in down under). It pays me enough.. I get about 450 in the last 2 months during my spare time. I hope to increase my income soon through blogging and hopefully promotions. Anyway. Thank’s for the encouragement and the positivity. Please do visit my blog, it is a work in progress, it tells you about how I save my money – I save 75% of my salary income per year in the past 3 years. Debt stinks, but it’s a part of life for most of us. The challenge is borrowing the least amount possible. My student loans were $50k when I graduated, higher than average, but it’s a college degree that opened doors that would have remained lock otherwise. Right now we are building house & borrowing money for that. Theoretically we could have remained debt-free & kept renting, but some short term debt will result in long-term savings when we become debt-free in 10 years hopefully. With all the craziness going on in the world, it’s best to be optimistic about life. To paraphrase Hemingway, the sun always rises the next day! This is really helpful, thank you! While I don’t typically think about the positives associated with our debt, I do try to practice gratitude for what we have. 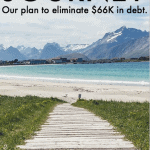 I have absolutely lost sleep over our debt, so I know you’re right about the impact the stress can have on our health. I love the idea of trying to remember what positives have come from the debt. Truly inspiring. It’s amazing how you can take something terribly negative in life and look at it with a different, positive perspective. I’m about to go to college and this post was helpful with it’s warnings and encouragement. Having debt is no joke. Especially when a person has student and mortgage loan debt. Things can really spiral out of hand, because one can find their paycheck possibly garnished. Thank you for this post, it definitely is stressful to constantly worry about your finances. You put so many things into perspective when it comes to debt. In my family we try to live and learn to grow smarter with our finances. There are so many resources now to help teach anyone the way to dig out of debt. Seeing the positive end of your debt is a great tool to use so you do not get discouraged, but motivated. Thank you so much for this uplifting post! We just recently bought our 1st home and shortly after signing the papers we started updating a few things. Then we learned how much money you can pour into a home, plus the mortgage debt was overwhelming me. I had never been in debt, except for a car loan that I paid off within 2 years. So, the amount of debt we now had (the mortgage) made me depressed and angry. Thankfully, that stress has passed but those few months when all I could focus on was this giant debt were awful. People told me pretty much what you wrote here – to be thankful I have a roof over my head, etc. Now I have made a plan and am working to pay off the mortgage early – making a plan really helped me. That way I focus on my goal instead of this large sum of money.